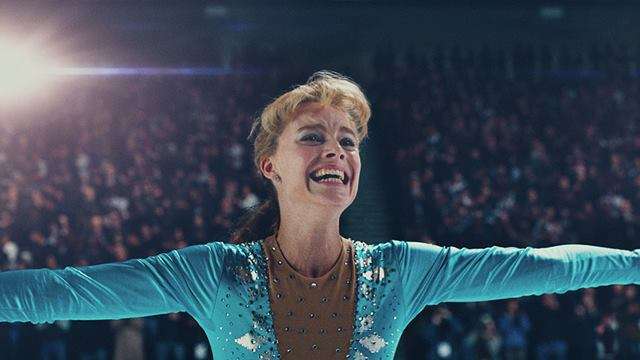 Much has been said about the upcoming Margot Robbie-starrer I, Tonya, where the Harley Quinn actress plays embattled champion skater Tonya Harding. It wasn't until the red band trailer was released that we actually got a glimpse of what the dark biopic had in store for audiences. Several news outlets have reported about Robbie being unrecognizable as Harding, but watching the uncensored version of the teaser tells us that there's more to the drama-ridden sports tale than graceful jumps and woozy spins. Margot's forced smile at the one-minute mark is reminiscent of the insane Suicide Squad member's playful grin. Cussing a judge out and firing a shotgun at her husband (portrayed by Sebastian Stan) measure up to Harley's fight scenes. The black-comedy and amusing minor characters (Paul Walter Hauser as Shawn Eckhardt) give the depiction of the Nancy Kerrigan scandal, which practically banished Harding from the sport, a lighter tone that renders it rather disturbing. Finally, Robbie appears to execute the role flawlessly—at least in this first look. She's as cold as the ice she's skating on.